Gabe Brown uses a visual vocabulary derived from a world that often goes unnoticed. Everyday events such as conversations between birds, forces that drive water, or the cellular structure of plant life, are starting points for paintings that become conversations between nature and the man-made. About the artist: Gabe Brown was born in Tucson, Arizona and raised in New York City. She received her B.F.A. degree from The Cooper Union and was awarded a Full Fellowship to attend the Skowhegan School of Painting and Sculpture. She received her M.F.A. in Painting from the University of California, Davis. In 2014 she was the recipient of the Sustainable Arts Foundation Award and chosen to be one of two artists for a public arts project for ArtBridge. Last year she was a Resident Fellow at The Saltonstall Foundation in Ithaca, New York. 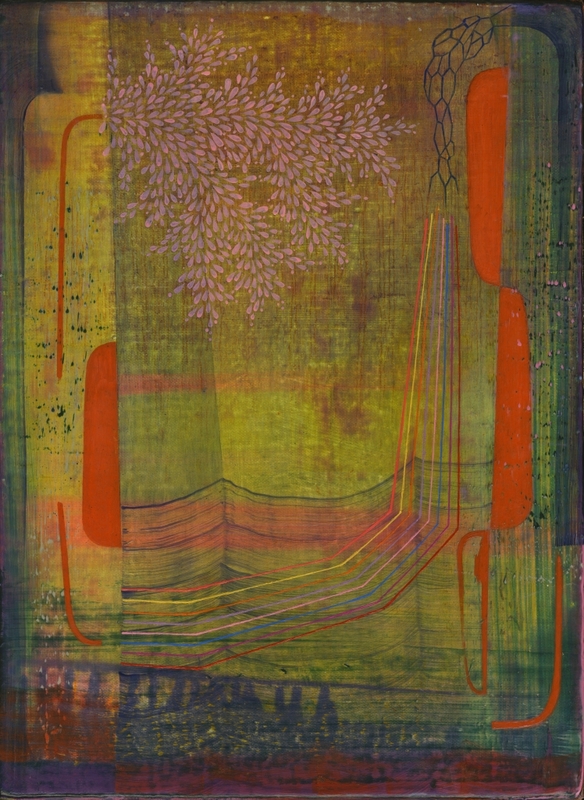 Her paintings and works on paper have been exhibited nationally in galleries and museums such as Kenise Barnes Contemporary Art, Samuel Dorsky Museum of Art, Butters Gallery, Matteawan Gallery, The Saratoga Arts Center, Garrison Arts Center, John Davis Gallery, ArtsWestchester, Schweinfurth Arts Center, SUNY Brockport, The Horticultural Society of New York, Albany International Airport, Sears-Peyton Gallery, and Carrie Haddad Gallery. Her work has been featured on the cover of Chronogram, and most recently she has been interviewed for WDST radio in Woodstock, New York and KBOO/Art Focus in Portland, Oregon in conjunction with her solo show at Butters Gallery. Gabe Brown is an Adjunct Professor in Painting and Drawing at Fordham University and SUNY New Paltz where she has received three Merit Awards for Professional Achievement. Gabe Brown lives and works in the Hudson Valley.